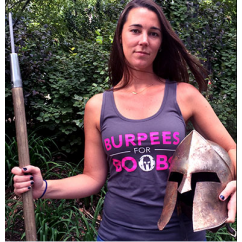 Spartan Race Memorial Day Special!!! Okay, so I am a little late with this post but my friend Dan Krueger. He is a member of the Spartan Race crew. He sent me this really great offer so I think it would be nice to share it with my running friends. If you are looking for something fun or new to do, please check out the Spartan Race link below. This offer lasts until 5/29 and you get 40 dollars off any of their up coming races. Use the Code: MEMORIAL to get the $40 off your next race. You will find all the information you need on the link above. Thank you for stopping by and I hope you do visit the spartan race media site. They have some great races and events. Posted in Uncategorized and tagged adventurous, challenging, fun events, memorial day offers, races, running, spartan race. Bookmark the permalink.